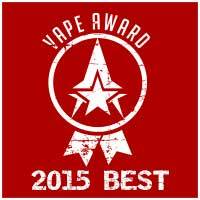 This notice applies to all information collected or submitted on the EJM / eJuiceMonkeys website. Some pages allow you to make comments and/or register to receive materials. The types of personal information collected at these pages may include: name, address, email address, phone or cell number, etc. We use the information you provide to provide services and products. We do not share this information with outside parties in any way. We use return email addresses to answer the email we receive. Such addresses are not used for any other purpose and are not shared with outside parties. We may use non-identifying and aggregate information to better design our website and to share with advertisers. For example, we may tell an advertiser that X number of individuals visited a certain area on our website, or that Y number of men and Z number of women filled out our registration form, but we would not disclose anything that could be used to identify those individuals. Finally, we never use or share the personally identifiable information provided to us online in ways unrelated to the ones described above without also providing you an opportunity to opt-out or otherwise prohibit such unrelated uses. • Industry leading encryption hardware/software methods and security protocols. • Regular website evaluations and scans by Security Metrics to ensure adherence to industry policies. Protecting the privacy of the very young is especially important. For that reason, we never collect or maintain information at our website from those we actually know are under 18. You must be of your state's legal smoking age to use our website, and no part of our website is structured to attract anyone under that age. 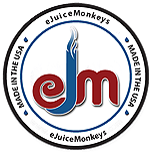 You can access all your personally identifiable information that we collect online and maintain by eJuiceMonkeys.com. We use this procedure to better safeguard your information. You can correct factual errors in your personally identifiable information by sending us a request that credibly shows error or accessing that data directly in secured areas. To protect your privacy and security, we will also take reasonable steps to verify your identity before granting access or making corrections. 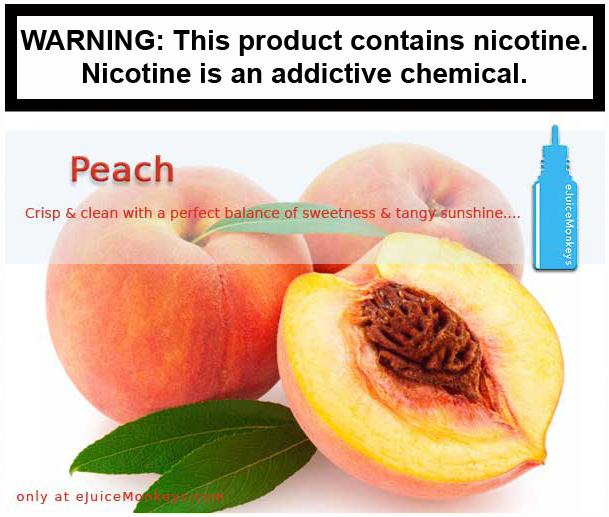 This is a really great tasting ejuice for any peach lover.